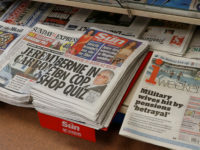 About a dozen journalists at the International Business Times UK have been made redundant, leaving the website – described as “dying and doomed” – without any dedicated reporters, sources have told Press Gazette. They spoke of a “clickbaity, low morale, newsroom” after staff were told they faced redundancy earlier this month, part-way through a trial period of editorial changes trying to get the company back on its feet. Press Gazette understands that the entire UK reporting team, working across news, entertainment and sport, has been laid-off and that only editor Julian Kossoff remains after his promotion to global editor-in-chief at IB Times. 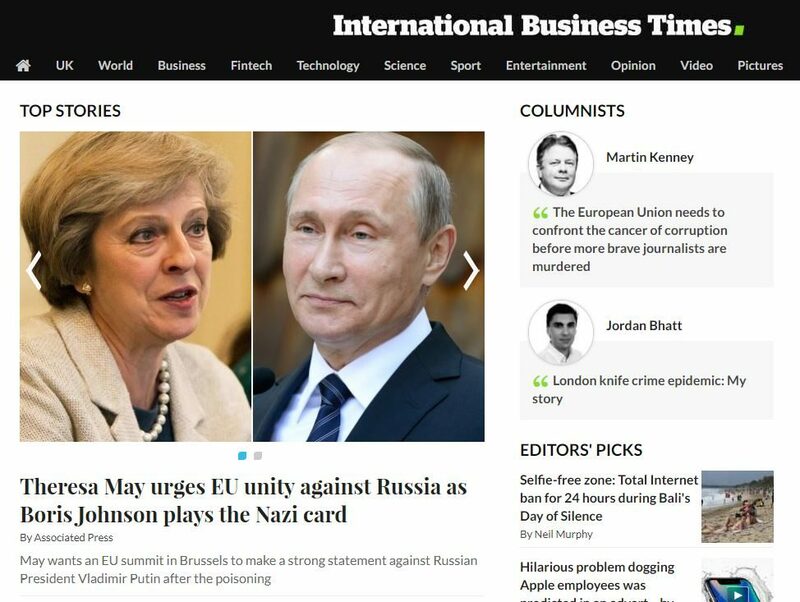 The IB Times UK website’s homepage, at the time of writing, has not been updated with a story since yesterday. The top story carries an Associated Press byline, but the most recent story from a named reporter appears to be from 19 March. Both the sport and entertainment sections on the website are leading with stories that are two weeks old. Press Gazette understands that most, if not all, of the team of journalists based in Bangalore, India, who wrote content for the UK website have also been made redundant. 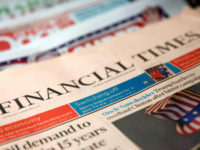 Press Gazette first reported that “almost everyone” in the UK newsroom was facing redundancy earlier this month as IB Times merged its UK and US operations into one global team. 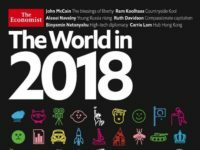 IB Times owner Newsweek Media Group issued a statement at the time saying that “a small number of lay-offs” were being made as a result of the structural changes. The company has declined to comment to Press Gazette about the redundancies. 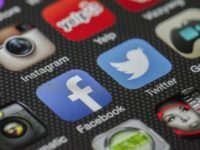 Staff were told they were being let go as a direct result of an investigation into alleged advertising fraud, carried out by Buzzfeed, and other recent bad press, according to sources. The Buzzfeed investigation, published on 1 February, alleged that NMG had been buying traffic and engaging in ad fraud. The Manhattan District Attorney is reportedly also investigating the claims. In January, US investigators also raided Newsweek’s New York headquarters in connection with a year-long probe into the company’s financial ties with Olivet University, an evangelical Christian school with which numerous current or former NMG executives have ties. Press Gazette’s sources said the IB Times UK website and the newsroom environment has “become so clickbaity that it left hard working writers demoralised as to what they were having to report on”. Another said the company had become a “horrible place to work” after traffic took a big hit in spring last year due to an apparent change in the way the website ranks on Google. Most of the affected editorial staff are believed to have had their last day with the company on Tuesday this week, when they were called into final redundancy meetings and told they were being let go. Just two weeks before the consultation period began, around ten IB Times UK journalists were moved to work on Newsweek, based in the same office. The remaining IB Times UK staff, called a “skeleton crew” by one source, were told to write whatever they wanted with no traffic targets. They were then suddenly warned on 6 and 7 March of redundancies, with two sources criticising the way the news was given over two days so that some staff were left fearing the worst overnight. One source said: “While the newsroom expected there to be a shake-up in the next couple of months, we were just two weeks into a six-week trial period to get the company back on its feet, so it did come as a big shock. According to another source, the “entire” UK operation working out of Bangalore in India was told they were being let go on 5 March. Two other sources confirmed that they thought all Bangalore staff were either made redundant or had been moved to work on the IB Times US website. Press Gazette asked NMG for clarification on the status of staff in India, but the company also declined to comment on this. UK staff were not informed of the changes in India until their counterparts got in touch, Press Gazette understands. NMG told Press Gazette two weeks ago that none of its sites were closing, despite staffing cuts. 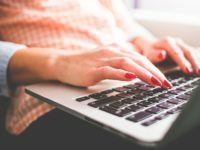 Last week the website operated at about “20 per cent capacity”, according to one source, with “virtually no” stories written by reporters. An editor has been uploading wire copy to the website and the homepage was only updated “very infrequently”, they said. One source said IB Times UK is “dying” while another said it was “doomed”. A third told Press Gazette traffic had been “minimal – roughly a tenth of what it was when it was full capacity” during the past two weeks. “The newsroom was very sombre in recent days and there was hardly anyone in. Many took the chance to take holidays and there was little incentive to go in,” they added. In a statement released on the same day staff were first warned of redundancies, NMG announced it was dividing the IB Times and Newsweek brands to become separate operations. It said the move was “designed to position its portfolio of news and information brands for future growth”. NMG said it would be dedicating more resources to the flagship Newsweek brand instead.